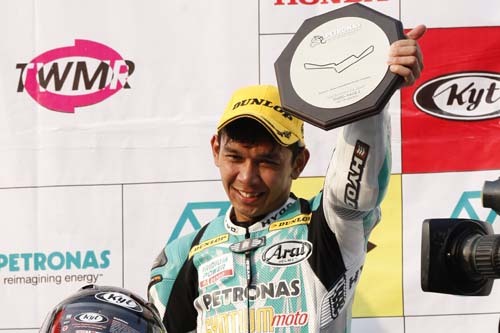 Mohd Zamri Baba did the Yamaha contingent proud as he squared up to rivals to earn a podium in the intense SuperSports 600cc battle during Round 2 of the 2012 PETRONAS Asia Road Racing Championship (ARRC) which took place at the Sentul International Circuit in Indonesia today. The PETRONAS Hong Leong Yamaha rider had a fairly fruitful outing coming in fourth in Race 1 having completed it within 24’20.048s behind podium takers, Ryuichi Kiyonari, Azlan Shah Kamaruzaman and Katsuaki Fujiwara. Zamri further stepped up his game in Race 2 to claim third place following an intense battle with SuperSports 600cc Champion, Fujiwara. He completed the race with a total time of 24’26.877s just 0.004s off Fujiwara’s time, 24’26.873s while Kiyonari bagged his second Asian win with 24’20.068s. 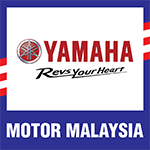 As for the Underbone 115cc category, Motul Yamaha YY Pang riders, Mohd Azhar Abdul Jalil and Mohd Adib Rosley had to be content to not make strides on the Indonesians’ turf as neither of duo were able to make it to top 10.